Opened in 2009, the 60-km-long cycle path from Weil der Stadt to Nürtingen has long ceased to be an insider tip. In the meantime it has become one of the most popular cycle tracks in the region and certainly one of the most beautiful, along with the Neckar Valley and Hohenzollern routes. With its wide diversity of museums it is also surely one of the most interesting. 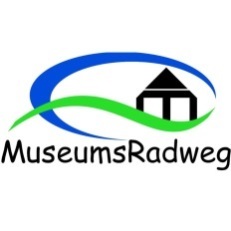 The family-friendly Museum Cycle Tour begins in Weil der Stadt and leads via Schafhausen to Grafenau, and from there via Mauren to Holzgerlingen and on to Schönaich. From Schönaich it continues via Waldenbuch and Neuenhaus through the Aich Valley to Nürtingen, where the tour ends. Along the way, past streams, meadows and forests, you'll find not only the well-known Museum of Everyday Life in Waldenbuch Castle, but also twelve museums of local history: the Kepler Museum, the Carnival and Doll Museum and the municipal museum in Weil der Stadt, the museums of local history in Grafenau, Holzgerlingen, Schönaich and Grötzingen, the Potters' Museum in Neuenhaus, the Bakers' Museum in Aich, the School Museum in Grötzingen and the municipal museum in Nürtingen. Important art collections along the route can be found at Dätzingen Castle and at the Museum Ritter in Waldenbuch. The Domnick Collection and the Ruoff Foundation in Nürtingen also have outstanding works of art on display. Those who do not wish to complete the whole tour by bike can use public transport instead. 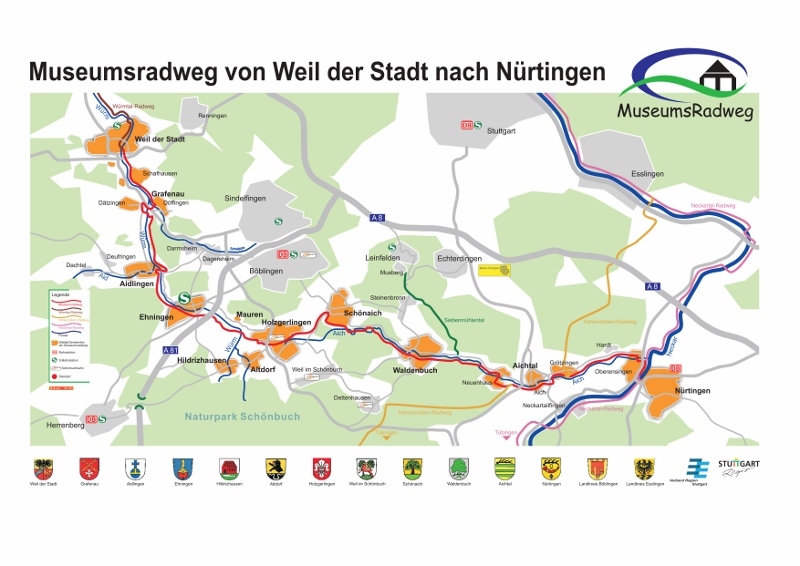 The Museum Cycle Tour flyer is available from tourist information centres in the Stuttgart region, and in the citizens' and service offices of the participating communities. Here (1.943 MB) you can also access the flyer online.